We love finding great deals for our loyal TNW friends — and we get even more excited when we can get you something cool at the cheapest price possible. So imagine our joy at being able to offer you the world’s smallest camera drone for just $26.99. 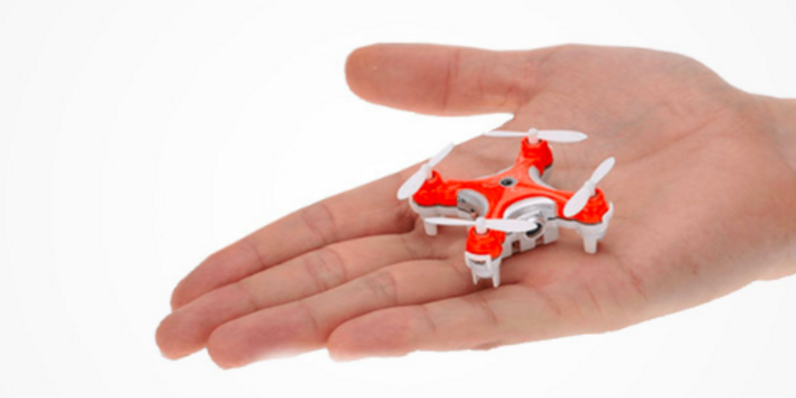 Yep, we’ve got a batch of these cool little quadcopters available from TNW Deals for nearly half off the retail price. The Cheerson CX-10C is less than an inch high, less than two inches across, and weighs just over an ounce. Yet somehow, this mini-beast still packs a camera in its tiny frame, capable of capturing crystal-clear video and still images in flight… a rarity for a drone this size. It even comes with its own 2GB Micro SD card to save your aerial exploits for posterity. The craft’s gyro technology and four-blade calibration allow you to create high-flying aerobatic routines with precision and stability, whether you’re performing 360-degree flips in tight quarters or casually soaring in wide open spaces. Three speed flight modes allow you to turn over the controls to pilots of varying skill levels… and the whole thing charges in less than 30 minutes, meaning you’ll always be able to pack in multiple flights. For a limited time, you can pick up the world’s smallest camera drone for only $26.99 right now from TNW Deals. Be sure to choose from orange and black color options on the deal page.